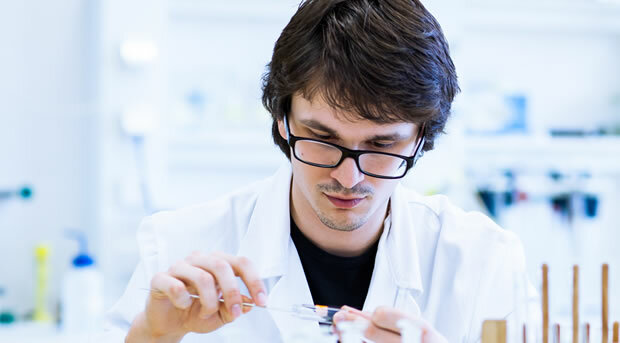 The state-of-the-art UL laboratory in Cologne tests according to recognised test methods to ensure that their products fulfil all the relevant, international, country specific and regional regulations. We advise you on all levels – starting with raw materials such as fibres, yarns, textiles and leather skins, to components such as buttons and decorative elements, right up to finished garments. In this way, UL International GmbH test laboratory in Cologne has been a contact person for manufacturers and retailers alike for many years. In close collaboration with our customers, it is our objective to develop individual solutions, so that the due diligence corresponds to the legal framework conditions, risks are limited and the capital returns are maximised due to reliable quality systems. Before items of clothing reach the consumers, they go through a series of test processes, which guarantee the manufacturer a quality product, and conformity with the regional legislation. The concrete test standards vary according to the article and local legislation of the markets. UL supports you in the holistic development of concepts for risk assessment and quality assurance of products. In order to remain competitive in today’s market, companies must guarantee sustainable measures with regards to environmental compatibility, and protection of individuals. As a core competence, UL offers extensive product analyses in the area of chemical management, and advice on the complex requirements of regional directives and international laws. We are happy to support you on topics such as the regulatory requirements like the REACH ordinance on risk and quality management in the supply chain, and the individual “Restricted Substances List“ (RSL) of our customers, which include the regulatory and the recommended test parameters for tests. The quality management experts for physical, mechanical and colour fastness tests from UL help our customers to manage all phases of the global supply chain in the textile industry. What do you know for example about the inflammability of textiles? Most items of clothing and home textiles are inflammable. Did you know that the way a material burns sometimes depends on its fibre percentage? The UL inspection and auditing services help you to optimise products within the whole global supply chain, reduce the risk of cost intensive recalls and protect your brand. Top of Production (TOP) Inspections/Initial Production Inspections (IPI): are carried out on raw materials and initial samples, to guarantee legal requirements and brand specifications. During-Production (DUPRO) Inspections evaluate the quality before the production volume is completely produced, to recognise possible problems in the delivery plan early on, and avoid supply delays. Final Random Inspections (FRI)/Pre-shipment (PSI) Inspections serve as a last check before shipping the goods. Inspectors check the quality, packaging, labelling of goods and carton identification to determine that the products are packaged correctly and suitable for the intended purpose. Loading Inspections: our inspectors check that the goods are manufactured carefully, with regards to quality, quantity, packaging and carton identification, during the loading process at the factory and/or the warehouse or port. Production Monitoring: The presence of an inspector on site in the factory, to monitor the manufacturing process. In this way it is ensured, that the material, quality and production plans are adhered to. Factory Capability Audits:determine the ability of a production site to manufacture a certain type of products according to specific requirements and in a certain time frame. Social Compliance Audits: determine the adherence to international regulations and standards with regards to environmental protection and social responsibility.